Police shot and killed the driver; hundreds are wounded, officials say. An attacker killed up to 80 people and injured scores when he drove a truck at high speed into a crowd watching Bastille Day fireworks in the French Riviera city of Nice late on Thursday, local media quoted officials as saying. 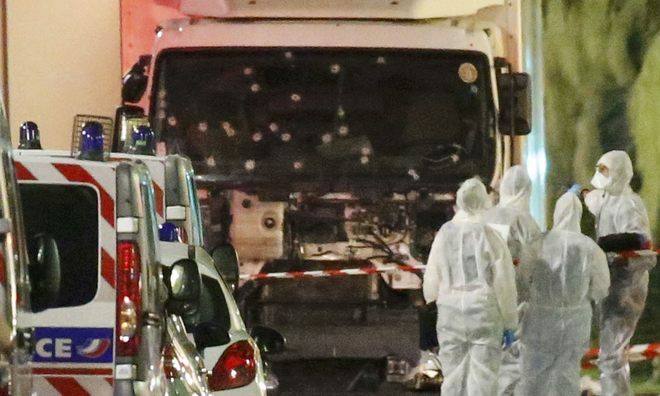 Police shot and killed the driver, who drove the heavy, long-distance truck at speed for well over 100 meters (yards) along the famed Promenade des Anglais seafront, hitting the mass of spectators late in the evening, regional official Sebastien Humbert told France Info radio. Local broadcasters quoted officials as saying the preliminary death toll was 80. 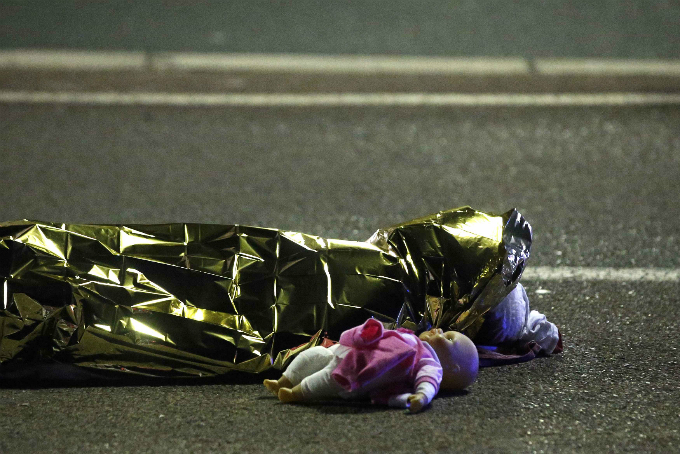 Other officials put the number of wounded as high as in the hundreds. Almost exactly eight months ago Islamic State militants killed 130 people in Paris on November 13, the bloodiest in a number of attacks in France and Belgium in the past two years. On Sunday, France had breathed a sigh of relief as the month-long Euro 2016 soccer tournament ended without a feared attack. Police denied rumours on social media of a subsequent hostage-taking. Vehicle attacks have been used by isolated members of militant groups in recent years, notably in Israel, as well as in Europe, though never to such devastating effect. French President Francois Hollande, who was in the south of France at the time of the attack but raced back to Paris to the national crisis centre, had hours earlier said that a state of emergency put in place after the Paris attacks in November would not be extended when it expires on July 26.